Sleeping a total 142 guests, all rooms are equally tastefully designed. 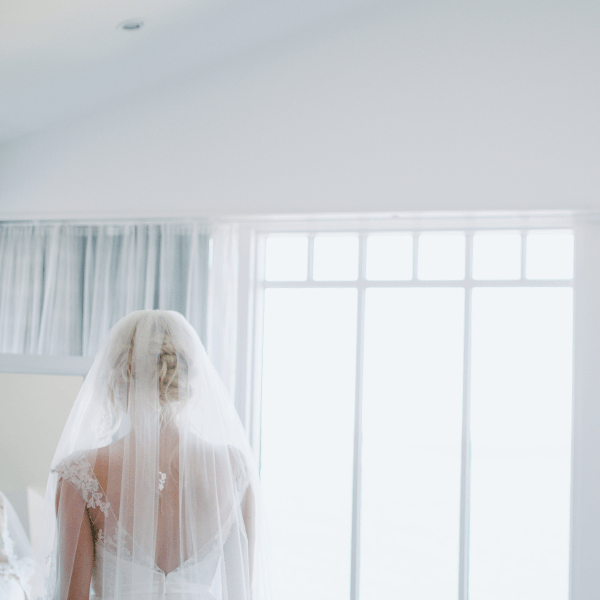 Chose size and location by contacting us. The ocean view is unique, as it should be when you stay right by the sea. One part of the hotel is located high up on the cliffs. The views from this building, where it once all began, explain the love for this place. You will understand why when you step in and look outside. 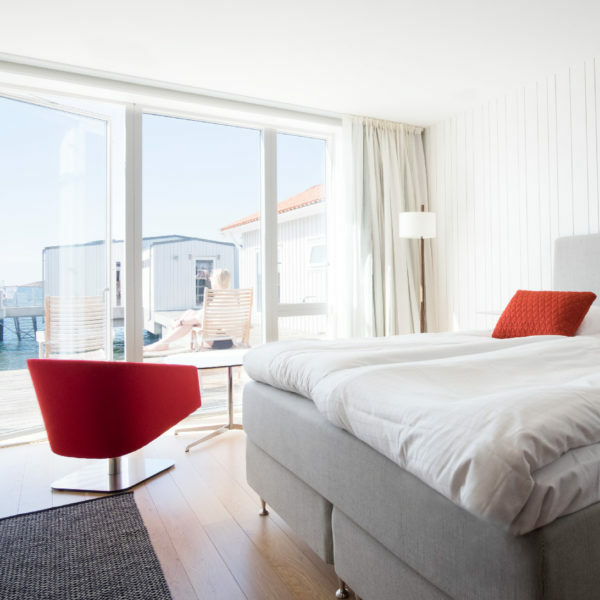 All our rooms have comfortable beds from Carpe Diem – locally produced – from the other side of the fjord. Is this the suite of all suites? From your bed, enjoy the view with open or closed doors to the French balcony. Here, you can reach the ocean from your window. Only the jetty separates you from the saltwater waves. Scandinavian design, fresh and tasteful. Right next door, you find Sinnenas Havsbad/Sea Bath of the Senses. From one of the rooms that is completely new in the spring -18, you instead have an absolutely stunning view as it is located on Klinten part of the hotel which is up on the hill. 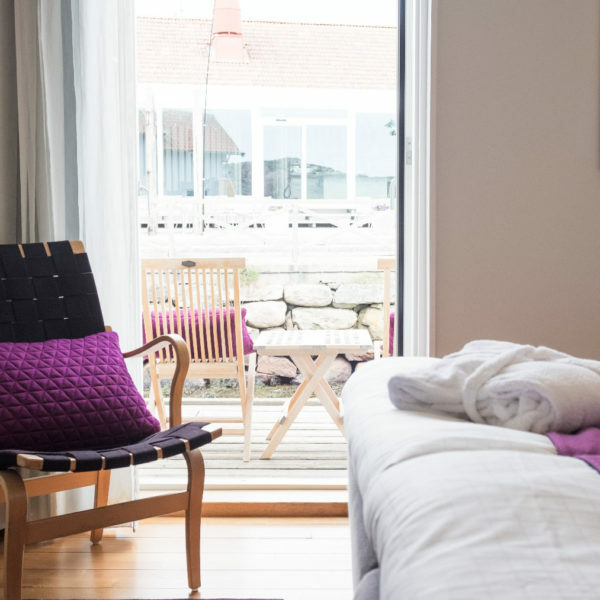 All rooms have Scandinavian design, bright, salty and tasteful. Staying here, atop Klinten, the ocean is a mere stone’s throw below. The room bathes in a generous, comfortable light. embracing the incredible show put on daily by the fjord Gullmarsfjorden and its islands and bays. The view from the rooms is also breath-taking. 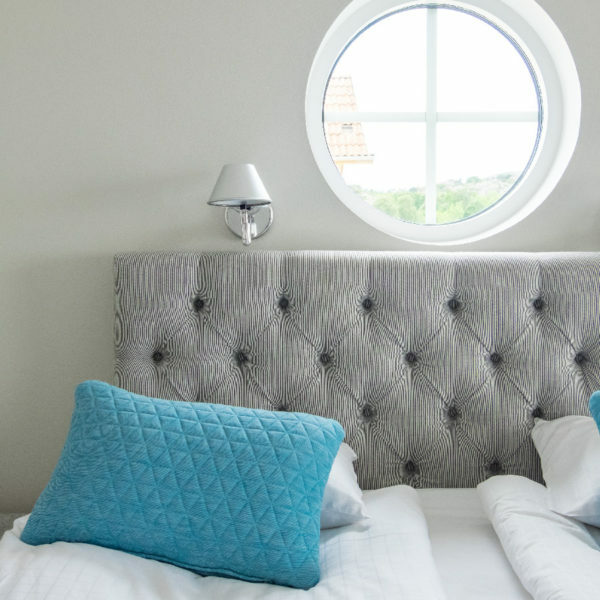 Ground floor room with comfortable beds from exclusive local bed maker Carpe Diem. 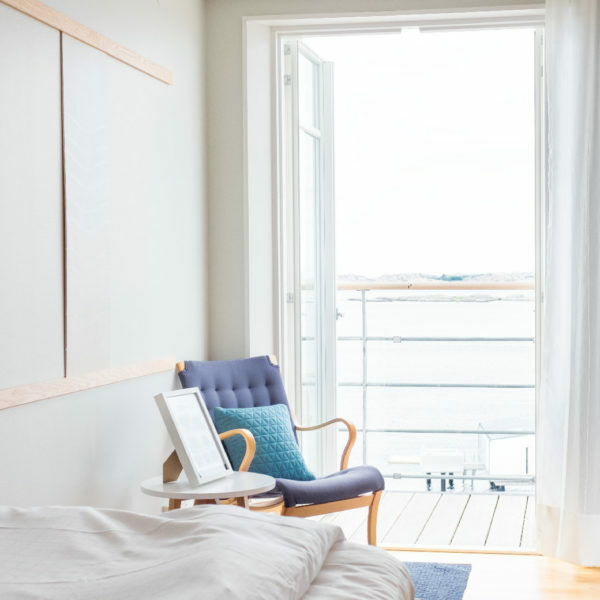 All rooms offer Scandinavian functional design. View of the courtyard or other building. It’s easy to remain seated at the common balcony, taking in the incredible show put on daily by the fjord Gullmarsfjorden and its islands and bays. The view from the rooms is also breath-taking. Ground-level room with comfortable bed from exclusive local bed maker Carpe Diem. 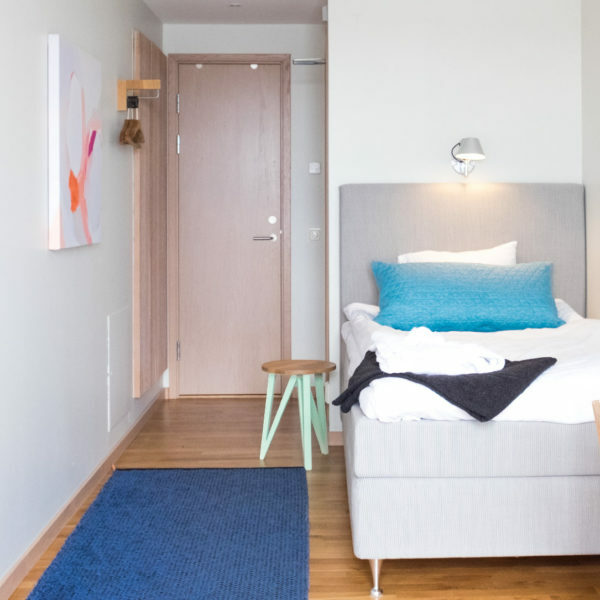 All rooms offer Scandinavian functional design. View of the courtyard or other building. For those who travel with dogs, we have selected rooms for you and your four-legged friend at an extra cost of SEK 300 / room. Notify when booking.